Christmas is right around the corner and I hope everyone is geared up with all your shopping and creating beautiful creations for this holiday season. I made a Christmas Song Ornament this year and I love it. If you are looking for an easy craft project or gift idea, here it is. After a year of trying to keep organized and not being able to find a blog planner that fits everything I needed, I decided to make my own and I want to share it with all of you! You can read more about it HERE and download the file there. 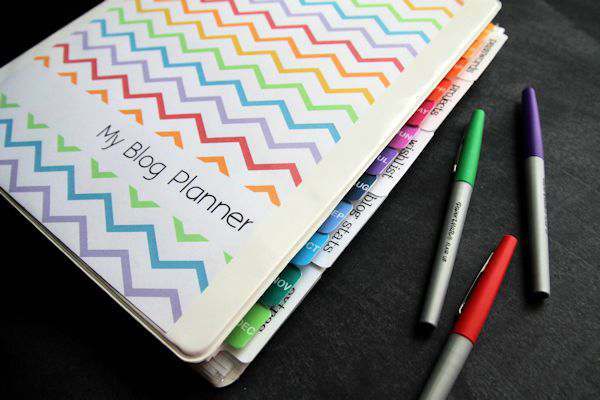 Print out what pages you need, make your notebook and have fun! This has to be one of the cutest projects I have seen in a very long time! Rustic Wood Slice Santa by Anything & Everything. 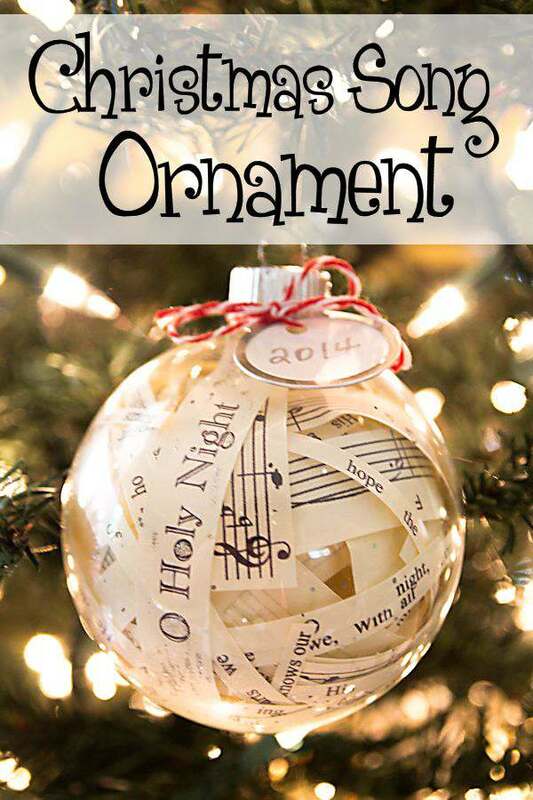 You have got to stop by her blog to see how she makes this adorable item for any Christmas decor. We would love to have more co-hosts for this party! We are looking for people that already participate in this party to co-host for 1-4 weeks at a time. We would ask for you to be available for at least half of the day (8-2 or 2-7 EST) where you could get on periodically and comment, +1, and share posts. Your link would be right after the hosts on the linky, and we would ask that everyone follow you on G+. If you would like to be considered to be a co-host, please contact Tammy from The Ultimate Linky HERE or let us know on The Ultimate Party Google+ page. Posting on G+ helps your posts get ranked higher in Google’s search engine. Friday is supposed to be the best time for interaction on G+, specifically between 11a.m. – 2 p.m. and 7 – 10 p.m. We will leave the linky open until 9 p.m. for the West Coast bloggers and for those who work during the day. Kim will hang out with you in the evening as many of your hosts live in the EST/CST time zones and have to be off our computers at that time. Please link up as early as possible so that you get the most interaction on your posts. To interact with and get to know other bloggers. Most parties you follow people and never interact. Here you get to see who has the same interests/niche as you do! You can follow our G+ page (The Ultimate Party) if you want to see our updates and see who we feature during the party. Optional: You can include your pin URL that coincides with your post on G+ so that others can pin it if they want to do so. You would say something like, “Try out my family’s favorite Easter pie. It’s the best pie ever! Go here to see the recipe: http://theultimatelinky/ . . . Pin it for later: http://pinterest.com/ . . .) #theultimateparty” If you repin the pin, please try to remember to include the hashtag #theultimateparty in the pin description. I also would love any tweets you could do to help spread the word about this party! The more people that come, the more your posts will be boosted!